Protection for showers, tubs, sinks, tile, counters, windows, mirrors & more. Most people know that no matter how much they clean, sanitize or disinfect everyday surfaces, dirt, grime and surface-contact germs keep coming back—sometimes in seconds. This irrefutable fact is what led to Unelko Corporation’s research and development of advanced surface care technologies that are marketed today under its CLEAN-X® brand. 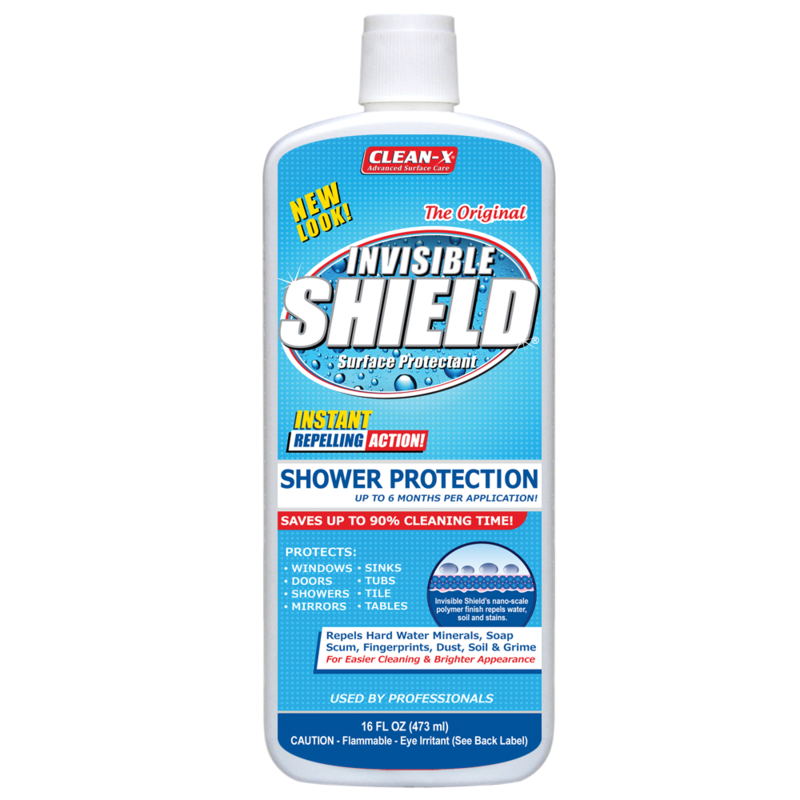 Unelko Corporation announces its New Invisible Shield® Bathroom Protection Kit by CLEAN-X that contains everything to keep bathrooms sparkling. The Invisible Shield Kit contains three valued- added products: A spray-on Limescale Remover to deep-clean once and for all; a wipe on Glass Coating that prevents the adhesion & buildup of hard water minerals, soap scum, body oils and makeup; and a dual-action Glass Cleaner that easily cleans everyday spills & splatters and simultaneously renews the water, soil & stain repellent Coating, making the protection last indefinitely. Most people value the benefits of non-stick cookware...and now one will cherish the easy-clean benefits of Invisible Shield on glass shower doors, mirrors, porcelain sinks, tubs & toilets… ceramic tile on walls, floors & counters. The timing for this product is perfect; many people are resolving to keep their homes cleaner during 2016. The unique "barrier" technology helps to keep surfaces cleaner and protected any time of the year. Unlike ordinary cleaners, CLEAN-X products protect surfaces with a long-lasting, Nano- barrier that shields against water, dirt, soap scum and minerals. This “easy clean” Nano-technology provides protection people can actually see and will allow them to keep their bathroom surfaces and fixtures sparkling "like new" as the day they were installed or newly renovated. In addition to keeping bathrooms sparkling clean, CLEAN-X products are multifunctional and can be used on granite, marble, stainless steel & stone surfaces in the home as well. For areas with a lot of glass, try the New "Dual Action" REPEL™ Glass & Surface Cleaner also with Nano-barrier technology. Touted as the best cleaner on the market, it is guaranteed to work better than ordinary glass cleaners. Invisible Shield- Seals, Polishes & Protects Glass, Porcelain & Ceramics. 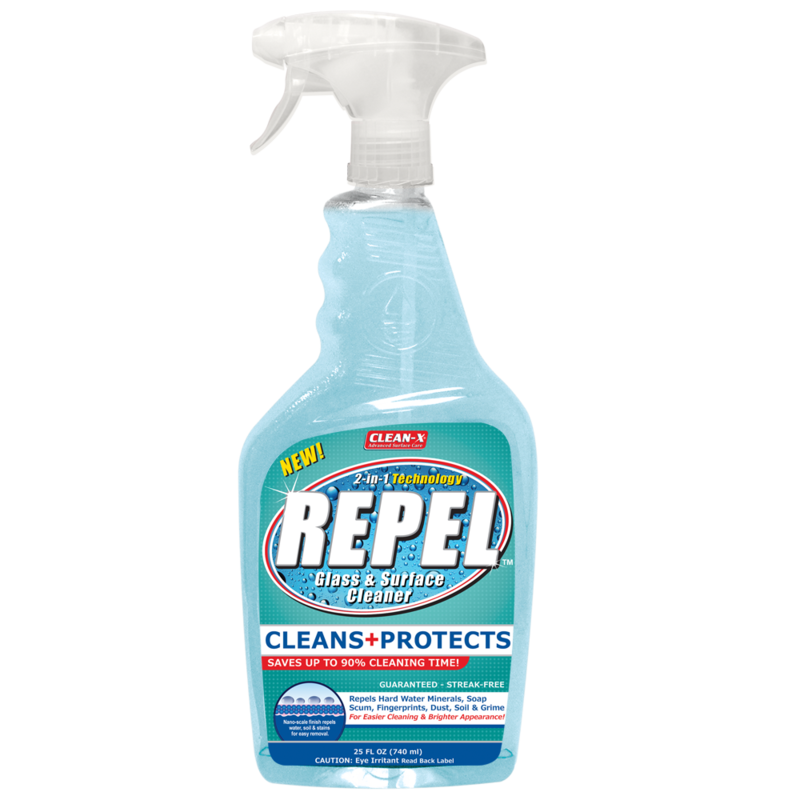 Repel Glass & Surface- Cleans & Protects for Easier, Faster Cleaning.